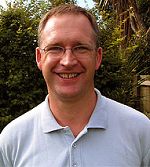 AUT University David Wilson is an Associate Professor in the Department of Electrical & Electronic Engineering at the Auckland University of Technology, New Zealand. Besides being the director of the Industrial Information and Control Centre, (I2C2), David is also a director of Inverse Problem Ltd which commercialises some of the research and development activities from the centre. Prior to joining AUT University, he was a senior lecturer in Sweden and Switzerland working with pulp and paper companies, Swiss pharmaceutical companies, and government sponsored environmental projects. David’s research interests lie in model predictive control, large-scale industrial optimisation, real-time quality and associated novel visualisation techniques, and modelling and simulation of a wide variety of applications spanning the finance, agriculture, fishing and manufacturing industries. David received his Ph.D. from the University of Queensland in 1990, and a BE (Chemical & Materials) from the University of Auckland. The University of Auckland Brent Young is a Professor in the Department of Chemical and Materials Engineering at The University of Auckland. He holds the position of Chair in Food Process Engineering and is Director of the Industrial Information and Control Centre. He is also an Adjunct Professor at the University of Calgary. Brent was previously an Associate Professor in Chemical and Petroleum Engineering at the University of Calgary (1998-2005) and a Lecturer in Chemical Technology at the University of Technology, Sydney (1991-1998). He has also held prestigious visiting positions including an NSERC at Calgary (1995), an Erskine at Canterbury (2005) and a Gledden at Western Australia (2009). 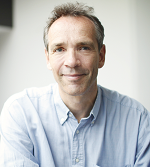 He received his BE (1986) and PhD (1993) degrees in Chemical and Process Engineering from the University of Canterbury. He is a registered professional engineer, a Fellow of the Institute of Chemical Engineers United Kingdom and a Vice President of the Institute of Measurement and Control New Zealand. He has co-authored over 200 refereed publications including the book "A Real-time Approach to Process Control", published by John Wiley (2nd Edition, 2006). AUT University Vathna obtained his Bachelor of Electrical & Electronic Engineering from AUT University in 2014, graduating top of his class. 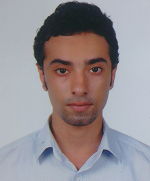 He is currently a PhD student at AUT, where he is undertaking a research in Binary Cycle Power Plant Optimization. He is also a teaching assistant at AUT University. In 2013 Vathna was a research assistant at AUT, and was responsible for designing, building, testing and optimizing multiple linear induction motors. He has also been affiliated with projects involving transformers and geothermal power plant modelling. AUT University Brett obtained his Bachelor of Electrical & electronic Engineering from Auckland University of Technology in 2015, graduating top of his class. He is currently a Ph.D. student at AUT where he is undertaking research into optimization of control algorithms for quadcopter UAV applications. In addition he working part-time as a teaching assistant. During his undergrad Brett worked as a data analysis intern at AUT Millennium centre assisting in data collection and analysis. He has also been involved in the implementation of embedded sensor fusion projects and control projects. AUT University Joseph obtained his Master’s of Engineering Studies degree in Control Systems from AUT University in 2015 . 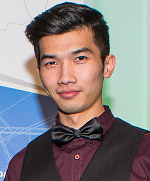 He is currently a PhD student at AUT, where he is undertaking research in the design and development of optimal and robust controllers for unmanned aerial vehicles to function in typical New Zealand environmental conditions.